Target audience: Closed event for young people aged 12-25yrs who have registered to their interest to participate. Event Type: This is a peace-themed activity for individuals aged 12-25 years. It is a chance to workshop and record their own Anti-bulling story as part of a Podcast series. This Podcast will be professionally edited, with all episodes listed on a web host page by City of Launceston's Youth Advisory Group as part of their Anti-Bullying Campaign. This online podcast campaign will be released to schools as a resource to prevent acts of bullying and aid understanding amongst student peers. Event Description: With Tamar Valley Peace Festivals Theme 'Respect' in mind, we are looking for individuals aged between 12-25 to share their story on bullying as part of City of Launceston Youth Advisory Group's Anti- Bullying Campaign. Stories can range from individuals who may have not recognised the impacts of their behaviour and changed their ways, to what it means to not be a bystander, as well as stories from individuals who have overcome bullying. These stories will be workshopped and recorded as their own anonymous podcast episode. 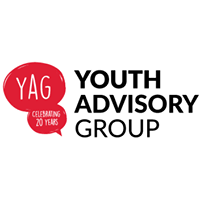 The podcast episodes will form the basis for Launceston Youth Advisory Group's Anti- Bullying Campaign and be listed on a web host page for other young people to access. This campaign will be used as a resource for schools so students can listen to the stories understand they are not alone when it comes to bullying. *other times can be negotiated by contacting the event organiser. Do people need to book for this event? : Yes via submitting an Expression of Interest to the event organiser. Other Information/Questions: The participation in the event is FREE with participants receiving a Village Cinema Pass for their involvement.